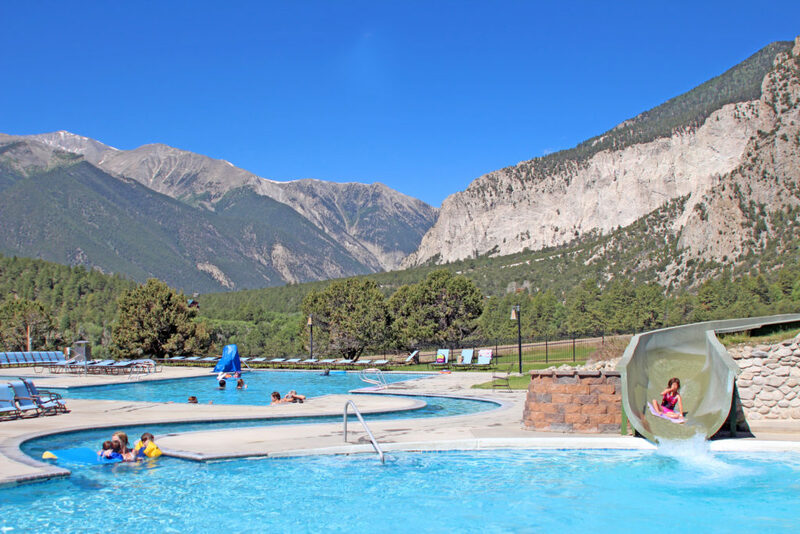 Mount Princeton Hot Springs Resort is the perfect meeting place for business or pleasure. 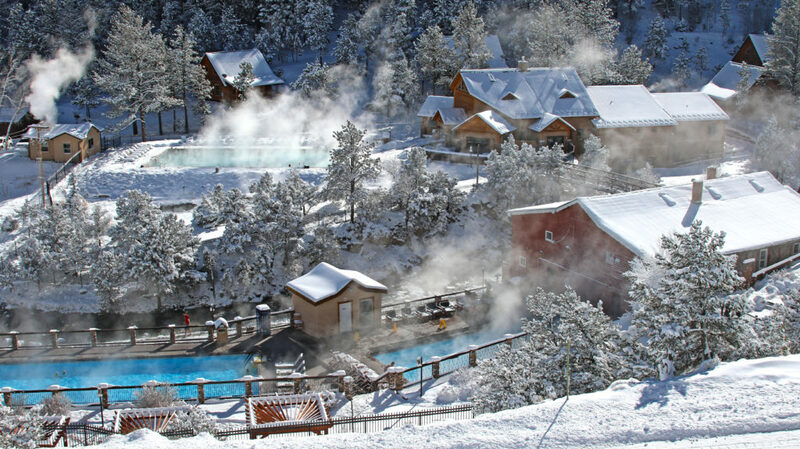 Located in the heart of the Rocky Mountains between Buena Vista & Salida, Colorado., this unique resort offers amazing views with 100% natural and odorless hot springs. 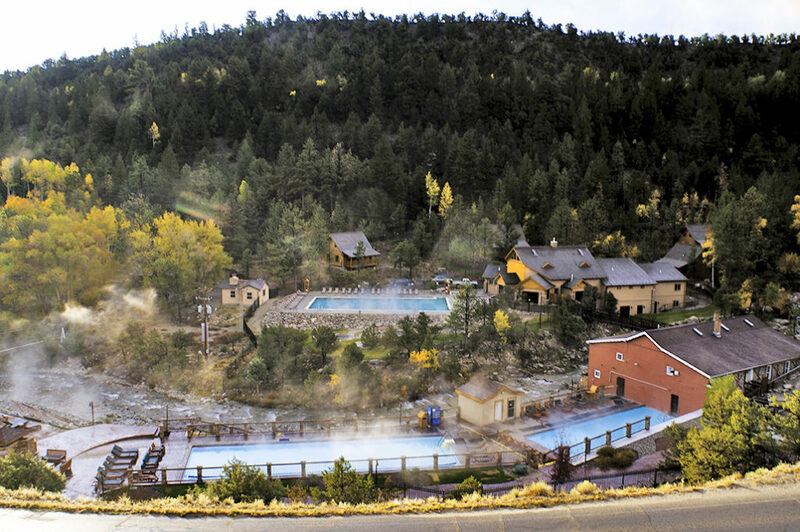 Enjoy the hot springs the day you check-in as well as the day you check-out with your overnight stay. Famous for effortlessly producing weddings meetings, event and family reunions. Numerous yoga retreats are hosted here throughout the year; guests may take advantage of complimentary fitness classes each day at the Spa and Club. 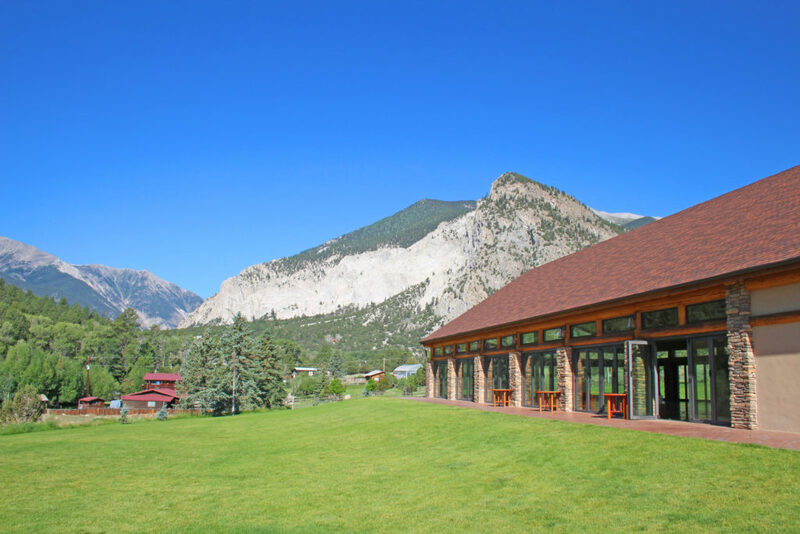 Numerous meeting spaces are available along with onsite lodging for your guests. 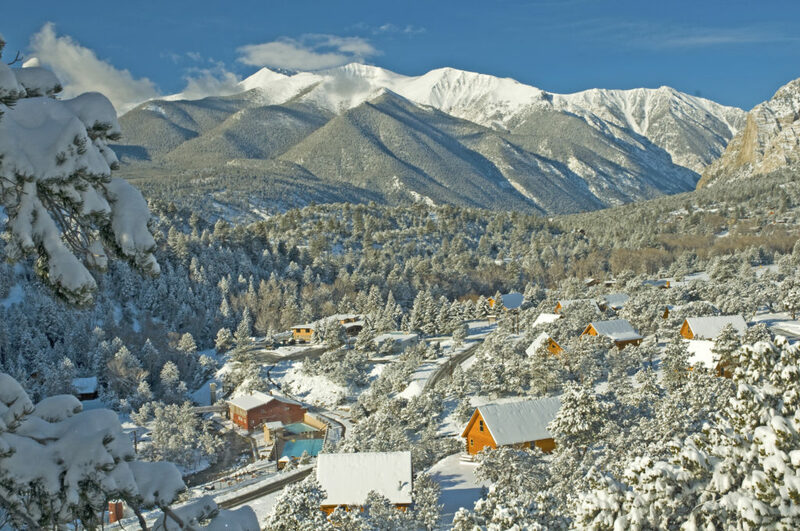 Enjoy cabin rentals and hotel rooms with incredible Rocky Mountain Views. We offer onsite catering and a full-service restaurant. Team building opportunities are available with the many outdoor adventures in the area. 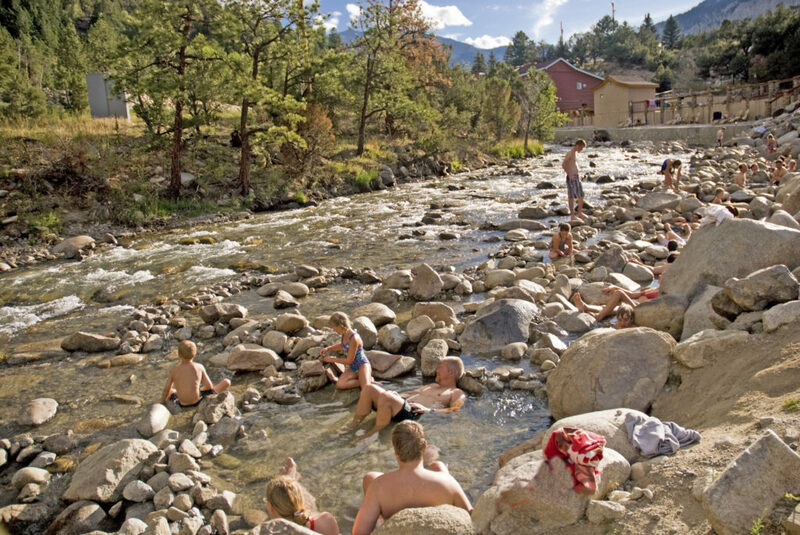 The Arkansas River is the most popular whitewater destination in Colorado. We have Aerial Adventure Parks and Zipline Tours nearby. Our stables offer horseback rides daily. Mountain bikes and fat bikes are complimentary to overnight guests. There is over 400 miles of groomed snowmobile trails in the area. 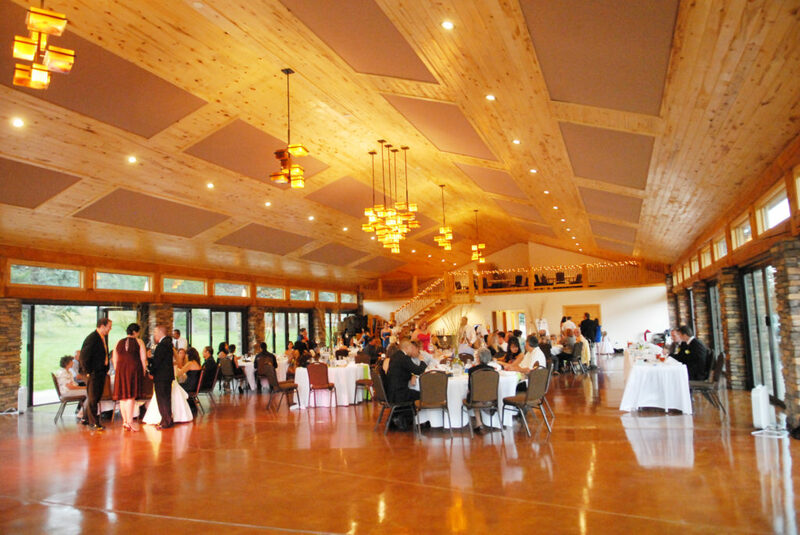 Famous for effortlessly producing weddings meetings, event and family reunions. Numerous yoga retreats are hosted here throughout the year; guests may take advantage of complimentary fitness classes each day at the Spa and Club. 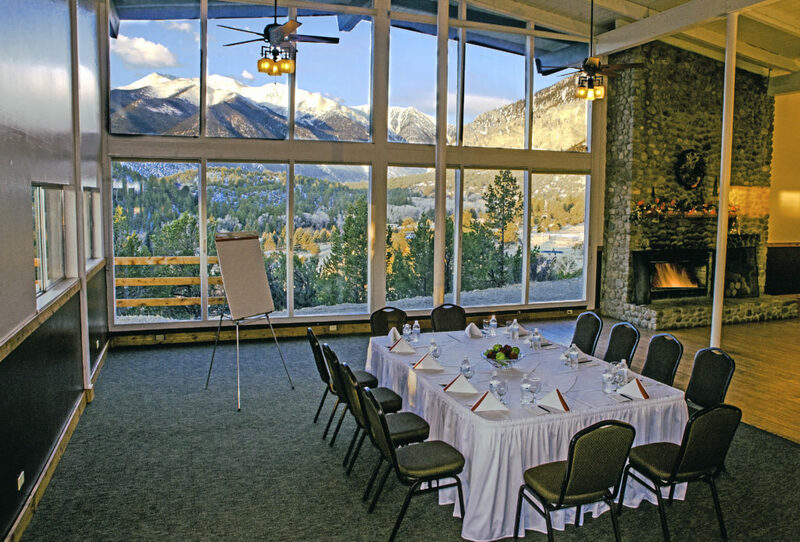 We offer various meeting spaces and onsite lodging. 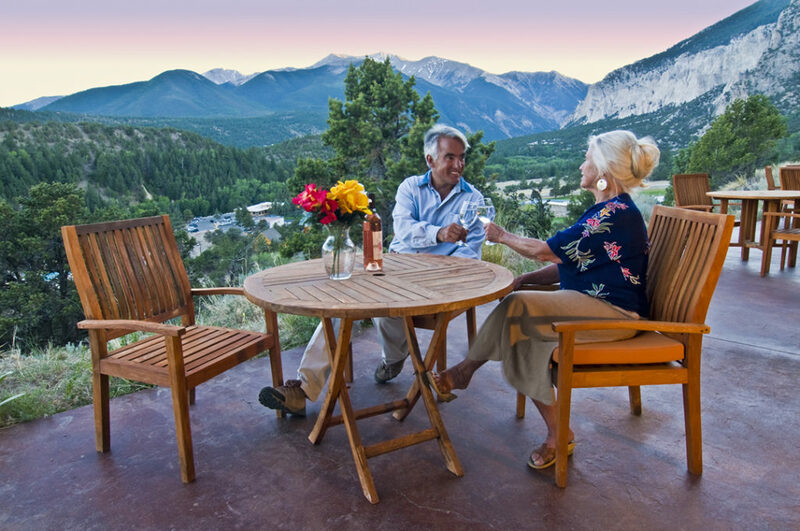 Enjoy cabin rentals and hotel rooms with incredible Rocky Mountain Views. 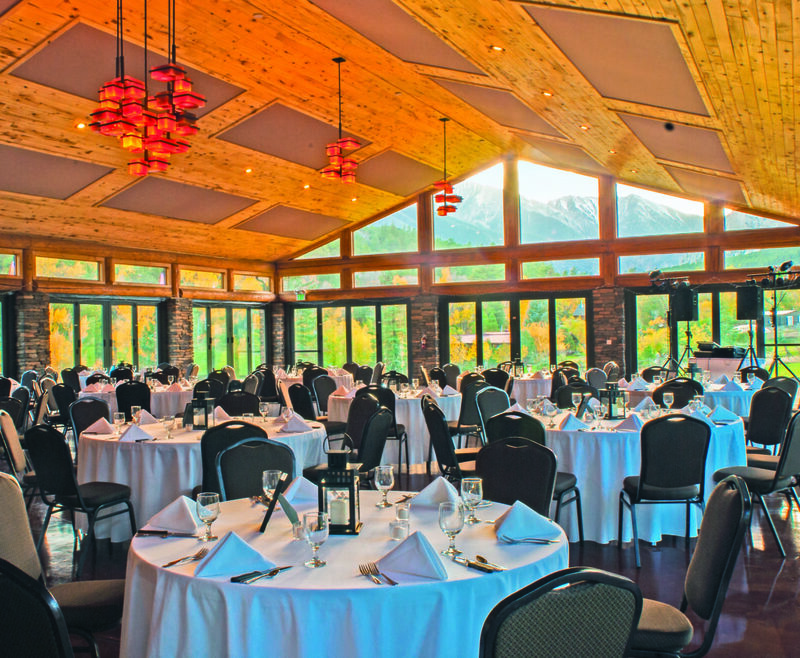 We offer onsite catering and a full-service restaurant. 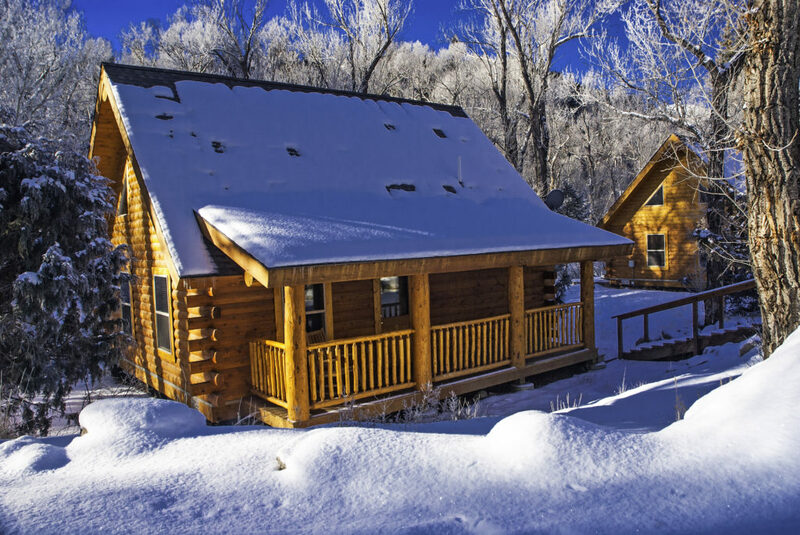 We offer 1-2 bedroom cabins, guestrooms and a group lodge – all with panoramic views in a tranquil setting. We take care of all of your wedding details so you don’t have to. 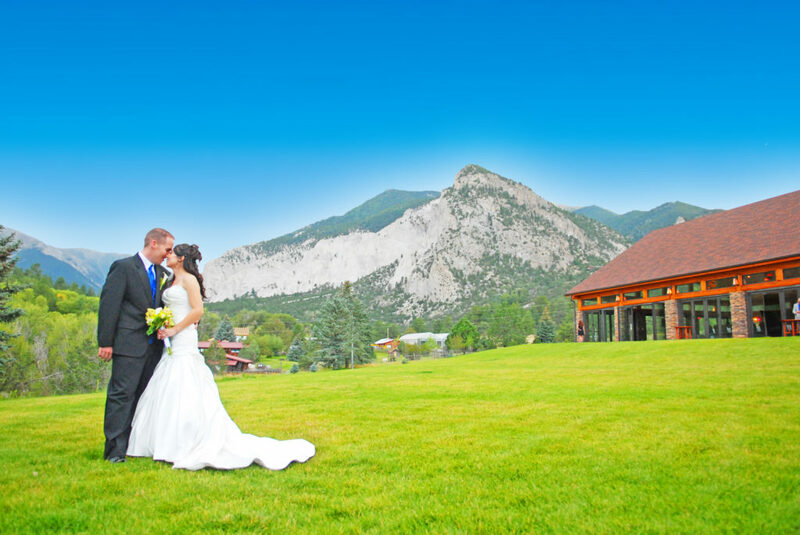 Enjoy a peaceful escape with family and friends while we craft a signature wedding, perfected with you in mind.